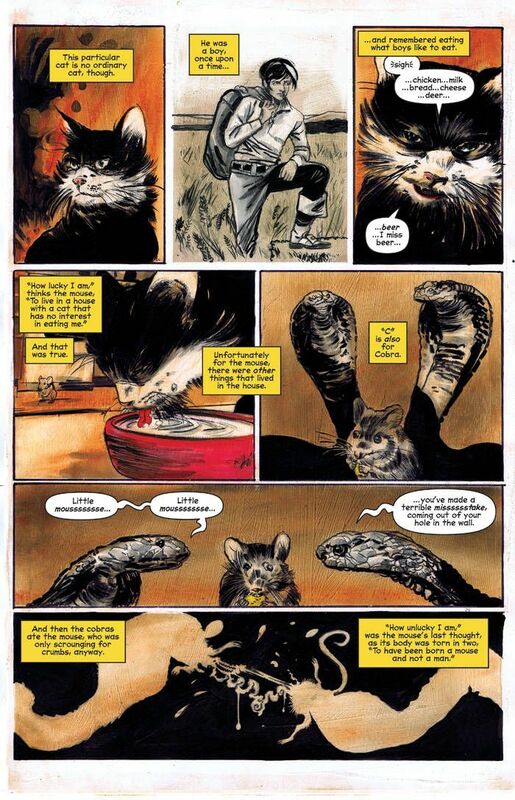 After amplifying the creep factor to eleven with the previous issue, Chilling Adventures of Sabrina takes a moment to focus on the animal familiars lurking within the Spellman household, specifically the snakes, Nag and Nagiana, and the cat, Salem. This sounds pretty cheesy, right? Why focus on the pets when we had all the crazy stuff going on with the witches? Well, this isn't a story about Krypto the Superdog or something like that. This shows you that just about everything in this world is terrifying. 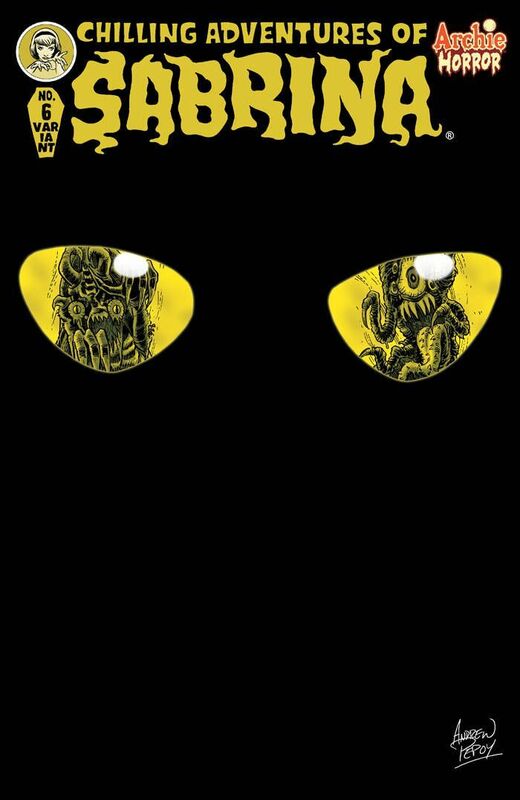 Afterlife with Archie, the other Archie Horror title, did a similar setup for issue #6, giving readers a moment to catch their breath with a different tale, and not a direct continuation of the ongoing story. As with that issue, this one is chilling and pretty friggin' scary. The book is split in two, with the first half dedicated to the cobras and the second featuring Salem's history. Writer Roberto Aguirre-Sacasa weaves these histories with some classics, including Rikki Tikki Tavi and The Crucible. The first part is rather bland with a basic revenge story gone awry. Nag and Nagiana were jealous royal siblings, who wanted more and ended up getting turned into snakes. You can see where it's going from the start, but that's because you already know the outcome. The actual transformation is limited to one disturbing panel, brilliantly illustrated by artist Robert Hack. It features the brother and sister in what looks like horrendous pain, their features twisting from human to snake, scales bursting forth and their limbs merging with their bodies. Salem's history brings him to the town that gave him his name in 1692. He's a sly sailor who finds a home working on a local farm, all the while bedding a servant girl with ties to witchcraft. Hack's design for the human Salem is perfect. He has this constant smirk on his face and a puff of white hair that stands out amongst the black. He appears rather cat-like, which is fitting. 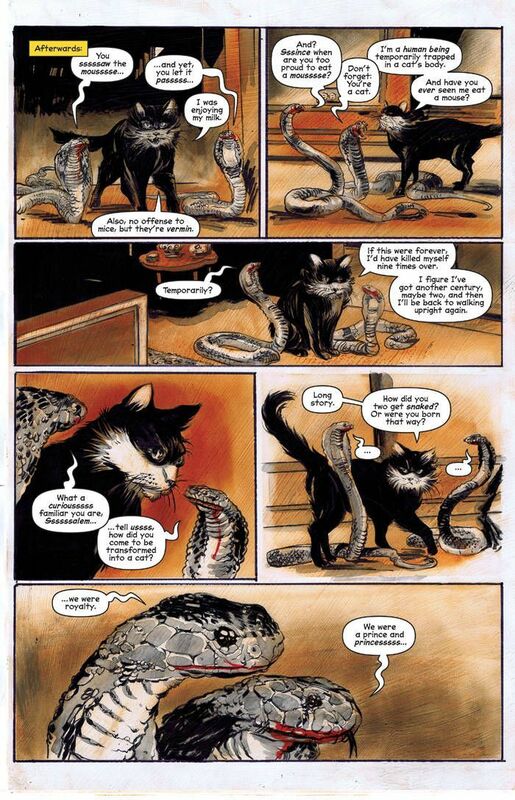 You know that he gets turned into a cat, but the why and how are what set this issue apart. Aguirre-Sacasa takes this to such a dark place that I had to give the last few pages another look to make sure I saw that correctly. It's so damn evil. 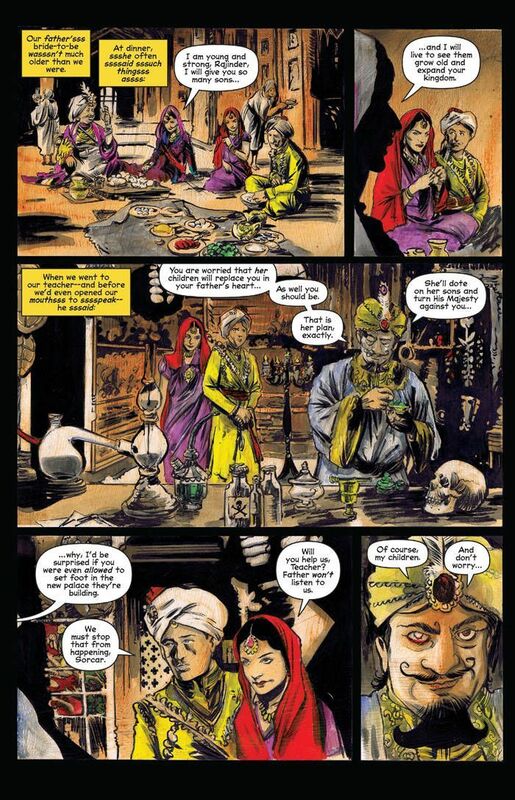 Hack has a classic art style that is fitting for the period piece that is Chilling Adventures of Sabrina. The panels look old, like they're part of some pulp magazine from decades past. I've grown to really like how he handles blood, smearing it on the page, like it's been dropped there by the reader and not the artist. It makes you want to check to make sure you're not bleeding yourself. 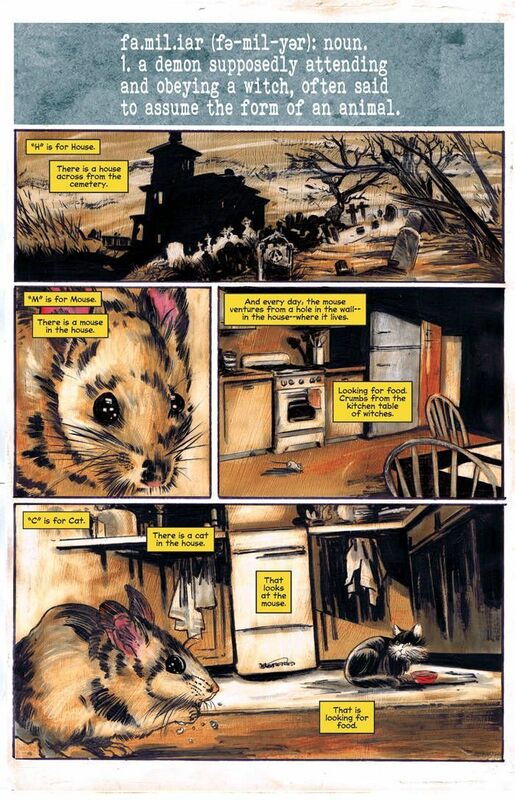 Chilling Adventures of Sabrina has reached new levels of horror with this tangential issue. Just as Afterlife with Archie #6 sets the book apart as more than just a zombie comic, this one differentiates Sabrina as more than just a witch comic. It deals with Satan in an intimate way that shows just how powerful and evil a creature he can be. 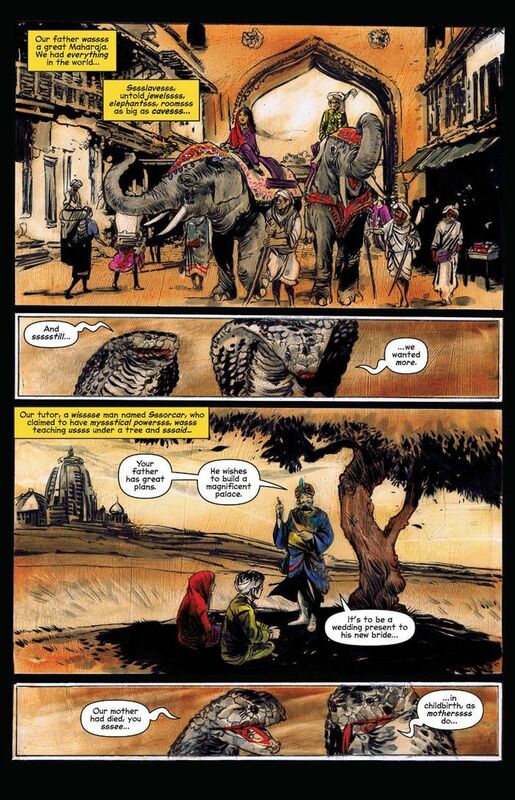 It sheds some light on three minor characters that you wouldn't have thought twice about previously, but now provide additional insight into the future of the comic.